How Much Should I Put Down? - Rose & Womble Realty Co. The down payment is often the one item that stops a potential homeowner in his tracks. He isn’t sure if he should put down the largest or the smallest down payment possible. Really the answer to this question should depend on how much cash you have lying around. For first-time homebuyers, it can be a stretch just to get 10% of the purchase price together. Realistically there are two schools of thought on the size of the downpayment. Some believe you should purchase your home with the smallest amount of down payment possible, and leave the rest of the liquid cash for emergencies, decorating, and any renovation work you may want to do to the property. The other school of thought is when a home buyer puts a larger payment down it means it cuts down on the size of your monthly mortgage payment and may help you avoid private mortgage insurance (PMI). 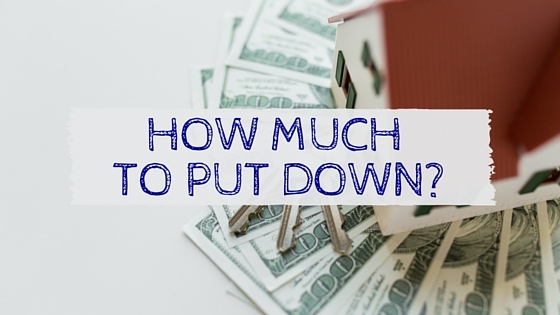 The more you put down, the lower the cost of owning the home and you pay less interest. If you put down 20% versus 15% , and the difference is $5000 or more, you should strongly consider going with the 20% down because it will save you the monthly expense of PMI.